Kannapolis Baseball today announced the hiring of Matt Millward as the Intimidator's general manager. This news is one of a series of steps being taken by Temerity Baseball, the team's new owners, to upgrade and improve team operations in anticipation of the move into the new Kannapolis Sports and Entertainment Venue for the 2020 season. This includes the recent launch of the "Branded New by You" campaign to create a new team name and logo in advance of the 2020 season. As the Kannapolis Class A baseball franchise moves toward a new era of baseball at the City of Kannapolis's Sports and Entertainment Venue, the team invites the community to help rename the franchise. Today the team launches its "Branded New By You" campaign and is asking community members to suggest names to help define the team's new identity. In addition to a new name, the rebrand will include a new logo and mascot. The new identity will debut after the 2019 season ends. 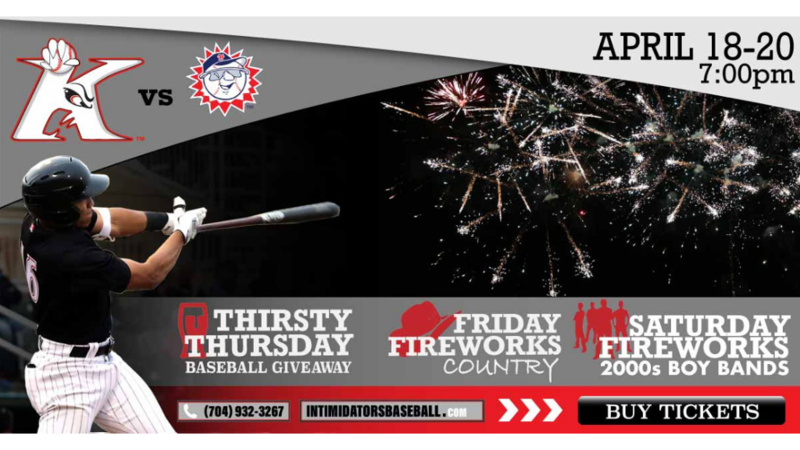 Temerity Baseball, LLC, today acquired the Kannapolis Intimidators, a single-A affiliate of the Chicago White Sox. Temerity Baseball will be working closely with the City of Kannapolis on completion of the new state of the art Kannapolis Sports and Entertainment Venue in time for the opening of the 2020 baseball season. The SEV will be the anchor of a revitalized and vibrant urban core. The Sports & Entertainment Venue is the catalyst for the City's Downtown Revitalization Project and has already resulted in commitments by private investors for adjacent mixed use developments totaling more than $100 million. The venue will be the new home of the City's Minor League Baseball Team - the Kannapolis Intimidators, an affiliate of the White Sox Major League Team. The venue will also have 6,000 square feet of banquet and meeting space that people can rent for conferences, meetings, and special events. It is designed as a public park with restrooms, includes a kids zone and will accommodate special events such as concerts.